The National Carillon tower is a hallmark of Canberra’s landscape and, with a height of 50 metres, is immediately recognisable as a unique architectural feature within Canberra’s city centre. 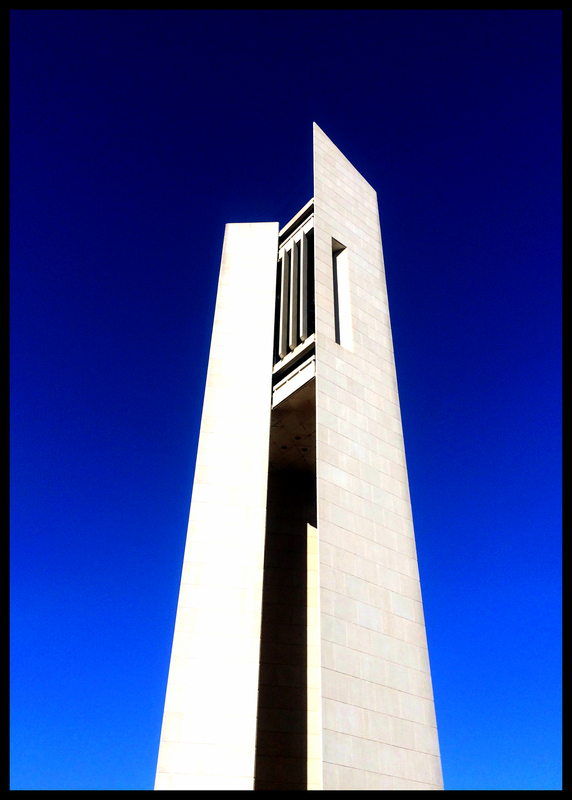 Whenever I visit the Carillon I never fail to compose at least one iPhone photo of its strong imposing lines in its Brutalist style of 1970s architecture. On this occasion our family was providing our French exchange student with a tour of Canberra’s notable landmarks. The Carillon was a gift from the British government in 1970 on the 50th anniversary of Canberra’s foundation as Australia’s National Capital. It contains 55 bells and it chimes every hour. The carillonneur perform recitals within the tower on selected days, which catch the breeze and can be heard drifting across Lake Burley Griffin, producing almost mystical melodies.